Have you ever tasted Black Raspberry? It’s a pretty wonderful flavor. Not quite Blackberry, but definitely not like Red Raspberry either, Black Raspberry is uniquely sweet and delicious. And that wonderful flavor – combined with just a touch of Limoncello lemon liqueur – is what sets this Black Raspberry Martini apart from the rest. One thing I love about this martini is how pretty it is. 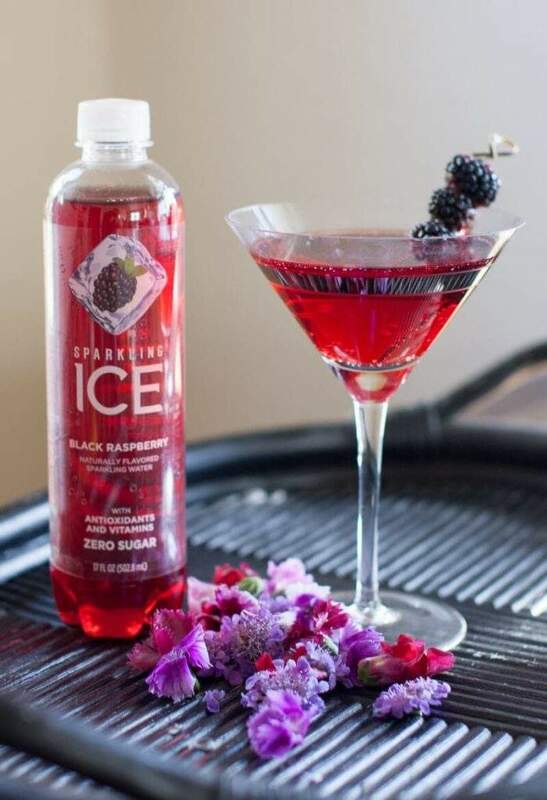 The Sparkling Ice Black Raspberry not only makes this delicious cocktail somewhat low in calories – it makes it lovely! The reddish-purple beverage truly sparkles, and looks classy, too – especially when garnished by plump purple blackberries. 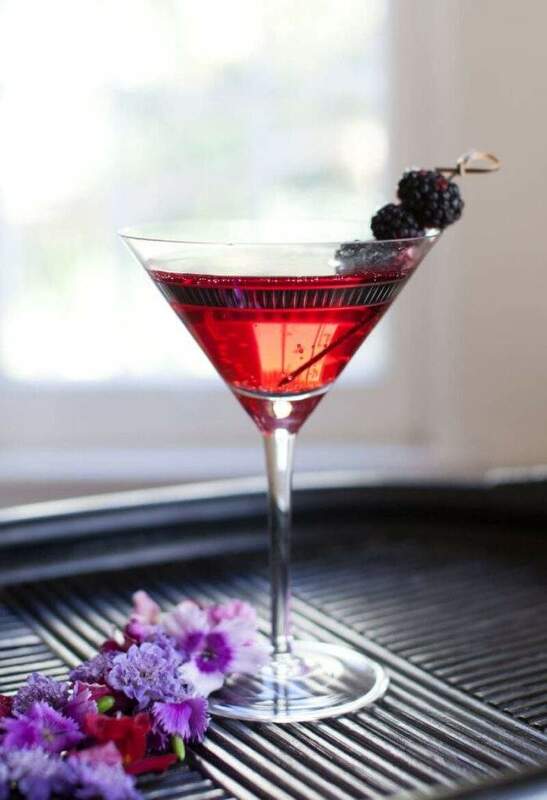 The Black Raspberry Martini is elegant enough to serve to your guests during a formal dinner – yet refreshing and fruity enough to enjoy by the pool on a hot summer day. Versatile and amazing, I encourage you to give it a try. If you do, please be sure to let me know what you think! The black raspberry martini is perfect to serve year-round. It’s so simple to make, and is sure to delight your taste buds while keeping the calories low. We love sipping on a black #raspberry #martini next to the pool. It’s so light and refreshing, and it’s even low calorie! Shake Vodka and Limoncello with ice. Looking for a #martini recipe that’s low in calories and tastes great? 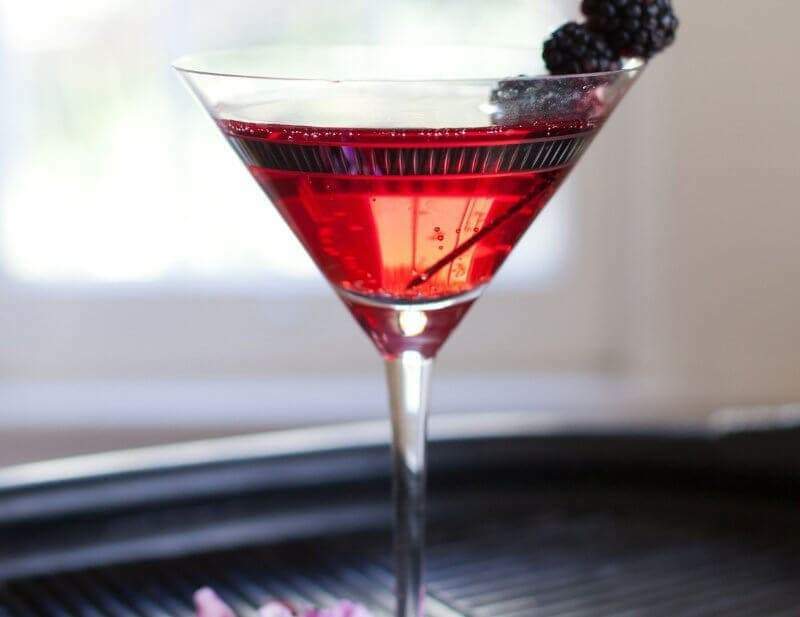 Try our black raspberry martini recipe with a splash of limoncello! It’s delicious! The black raspberry martini with a hint of limoncello is the perfect, refreshing drink to enjoy by the pool. It's also low in calories. 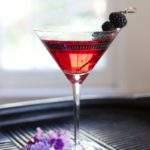 Please let us know how you enjoy our Black Raspberry Martini recipe. If you make it yourself, please let us know on Pinterest that you tried it and tag us with #champagneandcoconuts on your Instagram photo. If you haven’t had a chance to make it yet, be sure to save the recipe on Pinterest so you’ll remember where you found it. You may enjoy following our Pinterest Boards, Martini Recipes and Raspberry Cocktail and Mocktail Recipes.